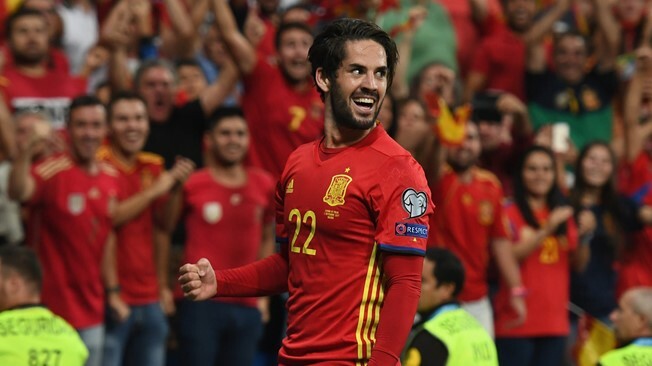 Spain coach Luis Enrique has dropped Real Madrid midfielder Isco and Atletico Madrid’s pair of Koke and Saul from his squad for the upcoming Euro 2020 qualifiers against Norway and Malta. The former FC Barcelona manager has however handed a return to Sevilla veteran Jesus Navas. The 33-year-old Navas has reinvented himself in the last two campaigns as a right back since returning to Sevilla from Manchester City in 2017. This has led to his earning a first call-up to the squad since the 2014 World Cup. Getafe striker Jaime Mata, who has helped the Madrid side make a push for UEFA Champions League qualification, has been included in the Spain squad for the first time. Also included are Napoli midfielder Fabian Ruiz, Sevilla defender Sergi Gomez and Real Betis midfielder Sergio Canales. Athletic Bilbao forward Iker Muniain could make his competitive debut for his country, as could Valencia captain Dani Parejo, who has made one friendly appearance for Spain. Spain open their Euro 2020 qualification campaign at home to Norway in Valencia on March 23, and then visit Malta on March 26. Forwards: Marco Asensio, Rodrigo Moreno, Alvaro Morata, Iker Muniain, Jaime Mata.